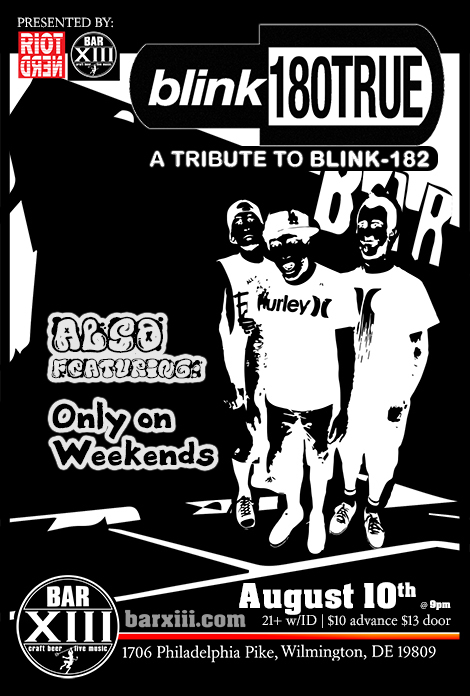 EMO Night with Blink-180TRUE and Only on Weekends at Bar XIII! Riot Nerd and Bar XIII Delaware present Live at Bar XIII august 10th, 2018 – Blink 180TRUE! Blink180TRUE is a high-energy 3-piece band from Southern California paying tribute to pop/punk legends Blink-182. 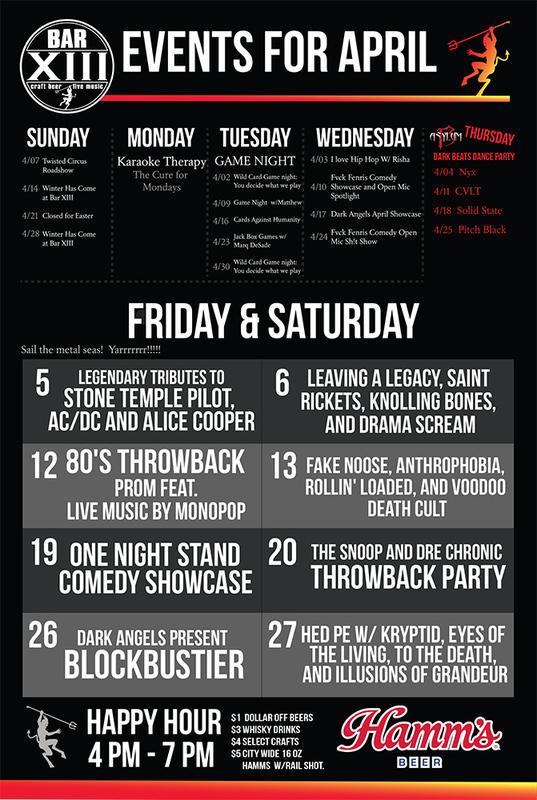 Formed in late 2013, Blink-180TRUE performs a true-to-era show highlighting songs from the band’s 1995 to 2003 era concerts. The Blink-180TRUE live show comes complete with exact band attire plus all the jokes and stage antics that cemented Blink-182 as an arena rock staple in the early 2000’s. Only on Weekends writes alternative rock anthems that will have you singing along by the time your first listen is over. The four-piece from Philadelphia, PA displays this ability proudly on their latest release, Light Years and Heavy Lifting, a five song EP produced and engineered by Fred Mascherino (Terrible Things, The Color Fred, Taking Back Sunday).